Next-level steering accuracy in one convenient package — including advanced steering electronics, Viper 4+ advanced field computer, product application control and boom controls. Avoid overlap or applying in no-spray zones to reduce input costs. 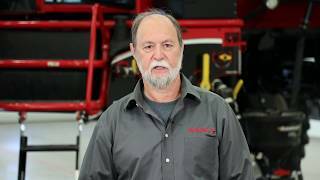 This direct injection system will save you time and money going from field to field. Reduce waste by eliminating the chance for cross contamination, adjust concentration on-the-go and automatically flush pumps with Rinse Assist for increased reliability. Get an unbeatable free, two-year subscription with 4G LTE connectivity, highspeed Wi-Fi connectivity for external devices and faster file transfers and software updates to reduce costly downtime. Automatically control the height of booms above ground with user-friendly controls and instant poweron. Experience faster and more even application, greater boom stability and decreased wear and tear. 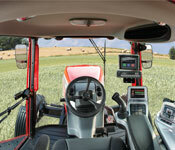 Also Available: Steering and application controls using the John Deere GreenStar™ 2630 controller and GPS receiver. Available as a factory-installed option on all models, Hawkeye takes precision to the next level, allowing operators to determine application speed and rate down to individual spray nozzles. Hawkeye is built on the ISOBUS communication platform.